ESPN College GameDay is in Charlottesville for the game with a live broadcast of the preview show beginning at 11 a.m., and a second show starting at 6 p.m. ahead of the tip. 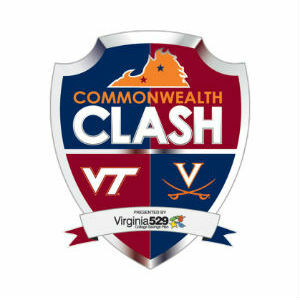 Chris Graham serves as a master of ceremonies on today’s podcast, which features interviews with ESPN College GameDay hosts Jay Bilas, Jay Williams and Seth Greenberg talking about Saturday’s ACC matchup between #2 Virginia and Virginia Tech. The ESPN College GameDay crew – Rece Davis, Seth Greenberg, Jay Bilas and Jay Williams – are in Charlottesville for Saturday’s game between #2 Virginia and Virginia Tech. Count the GameDay guys among those surprised that they’re back in town with Virginia knocking on the door of a #1 national ranking. Read Chris Graham’s article: click here. Turn ‘em over: Tech can be sloppy. The Hokies rank third in ACC conference games in turnovers, and turnovers were a big issue in the loss in Blacksburg. The offense can stagnate with the emphasis on dribble-drives and isos, which then puts more self-inflicted pressure on the guards to try to create. UVA’s guards need to maintain their discipline. Keep the ball moving: Virginia Tech is below-average defensively, ranking dead last in the ACC in conference games in defensive efficiency, and has been particularly susceptible from long-range, giving up an ACC-worst 40.6 percent of opponents’ three-points shots to go in. You almost have to expect coach Buzz Williams to try some zone just to do something different. Silence the noise: GameDay, #1, the in-state conference rival. Lots of distractions there for the taking. The UVA kids have been good at silencing the noise all season long.